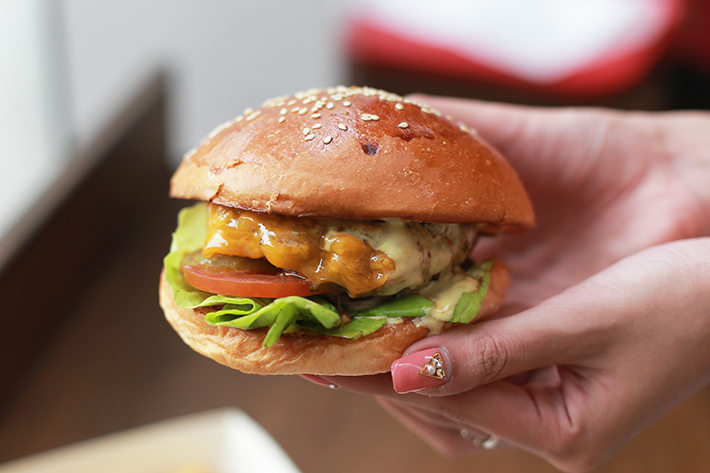 If you’re a first-timer, perhaps it would not be a bad idea to start yourself off with their signature Wolf Burger (S$9.90). 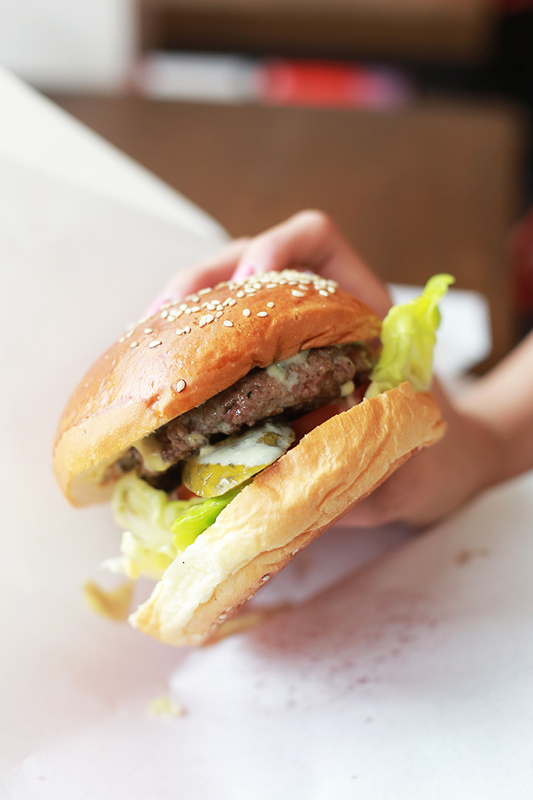 This anything-but-basic burger comprises a freshly ground beef patty with cheddar, sweet onions, lettuce, tomatoes and pickles in their house-made sesame seed bun. Our patty was beautifully cooked, achieving the perfect medium-rare. During the cooking, the cooks press the patties down hard against the griddle to achieve a deep and even crust, all while expertly flipping and timing each one to ensure that every patty is done just right. What we particularly enjoyed about the Wolf Burger, despite it being so simple and ordinary, was the fact that neither one of the ingredients were overly assertive, allowing us to truly appreciate the quality of the beef. 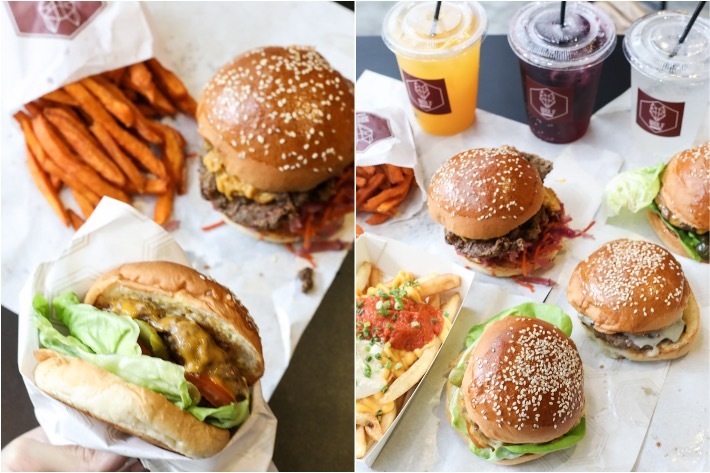 Every burger here is fully customisable, so feel free to exclude or include whatever you want from the type of cheese to their wide selection of toppings. We requested for some pickled gherkins to be added as well as we wanted something acidic to cut through the richness of the beef and melted cheese. For an additional S$3, you can choose to upgrade to a meal that comprises any side item and a drink of your choice. There were quite a few interesting choices but the Sweet Potato Fries (S$4) seemed like the most enticing. 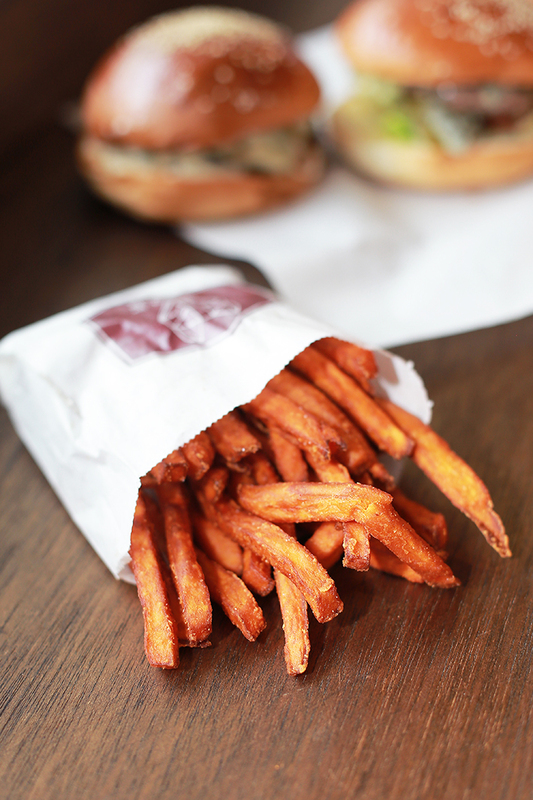 Crispy from edge to edge, every shoestring of sweet potato brimmed with a deep caramelised flavour—a quality that complemented our burger extremely well. 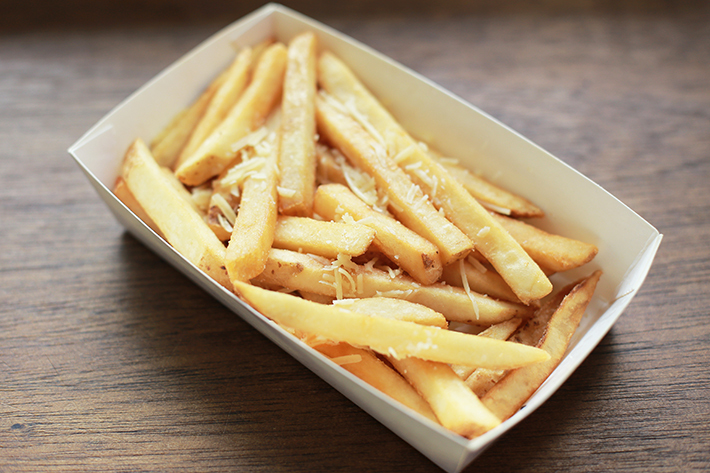 If you’re a truffle fanatic, then our advice is to go for the Truffle Fries (S$6). The notes of truffle were apparent and the fries were nicely textured, but all in all, it was rather underwhelming as compared to its sweet potato counterpart.